Content categories organize channels and videos on YouTube and help creators, advertisers, and channel managers identify with content and audiences they wish to associate with. Success within a content category includes mastery of the foundational best practices and relevant content optimization. Each channel on YouTube can be associated with a content category on the platform. These categories help organize the millions of channels and billions of videos on YouTube, and enable viewers, advertisers, and creators to have a common vocabulary and understanding of each audience’s needs. The categorization helps viewers find content, allows advertisers to refine their targeting, and provides creators with common best practices. In order to optimize a channel, it is helpful to conduct research to understand what is popular within a content category. One way to start this process is to look at other YouTube channels within the same category. Think about the channel category or how someone would describe the channel you’re working with, enter in this information into the YouTube search bar, and filter by channel. Start niche and then broaden your search accordingly to see larger themes (i.e. start by looking at “Kids Yoga” then broaden to “Yoga”). Visit “Best of YouTube” to see examples of top videos within specific categories. Content is king on YouTube. Shareable, emotionally moving, or compelling are qualities of videos that tend to bring viewers back again and again to YouTube. To help evaluate content for a specific channel category, it is beneficial to think about what is working well for each category. What are top creators within the category known for and what do they do well? Does the channel’s content focus on educating viewers? Entertaining viewers? Inspiring viewers? Does the channel employ one type of content strategy or does it exhibit a mix of content strategies? Consider who is watching content within the category (age, gender, location) and think about whether or not the content on the channel matches what they are looking for. If the content is well targeted, it should also align with the brands and advertisers within the category. This type of evaluation will help determine if the channel is targeting the right audience and if the channel is attractive for advertisers. 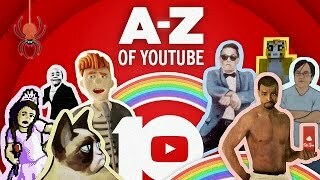 What is similar between the audiences of similar channels within a category? How does the content strategy of the channel cater to the audience demographics of the category? Does the channel content align with brands that advertise within the category? Assess the type of content that is on the channel and how and when it’s being released. Does the category release regularly scheduled content around viewer passions, programmed series, or thematic groups? Is always-on content optimized to viewers’ intent and interests - or - are large-scale events or “go big” moments driving awareness? How does the programming schedule sustain viewership, grow a following, and convert new subscribers? Evaluate how different categories present their content. Depending on the type of content (i.e. music video vs. comedy sketch), viewers are often accustomed to seeing videos in specific formats and lengths and at specific production values. Look for these themes and see how they can elevate channel content. Does the category have videos of similar production value? Length? Format? What are common production qualities of similar channels? What production technologies or techniques do they typically employ? What are common elements of the channel design of similar channels? Identifying content category specific requirements can prevent costly trial and error and best position a channel for success. For best practices on how to develop content for specific categories, check out one of the following courses: Target your audience, Unlock your gaming channel, Making sweet music (channels), or Develop a beauty channel.